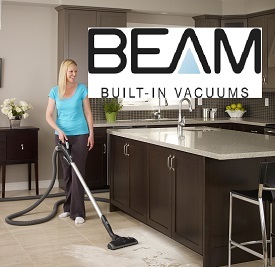 BEAM Central Vacuum Systems are attractive, affordable built-in appliances that appeal to our customers' highest expectations of comfort and convenience. Dyson vacuum cleaners are all about invention, innovation and improvement. Dyson never stops trying to find ways to make things work better. Your authorized Bosch Kitchen Centre for Saskatoon and surrounding area. So much more than a vacuum store! For over 30 years, Speedy Vacuum has been selling and servicing the best quality vacuum cleaner brands in the city of Saskatoon. Our goal has always been to deliver superior customer service, provide trustworthy repair service and to bring in the latest technology for our discerning customers. While selling our customers quality vacuum cleaners we found there was a lot of interest for quality small kitchen appliances and cleaning products. It was an easy decision to expand our product line-up to include small appliances and cookware. We are proud to be one of the few retailers in Saskatoon to carry such brands as German built Miele vacuum cleaners, Sebo, Johnny Vac, Dyson, Numatic vacuum cleaners, Beam central vacuums, Bosch Kitchen Machines, Zojirushi, and L’Equip. We are the only authorized vacuum cleaner repair centre in Saskatoon for such brands as Beam, Miele, Sebo, Filter Queen, Kirby, Cyclo Vac, Riccar, Vortech Force and Tri-star. If your vacuum cleaner is not covered under warranty, no problem! We will also repair most makes and brands of vacuum cleaners at very affordable rates.